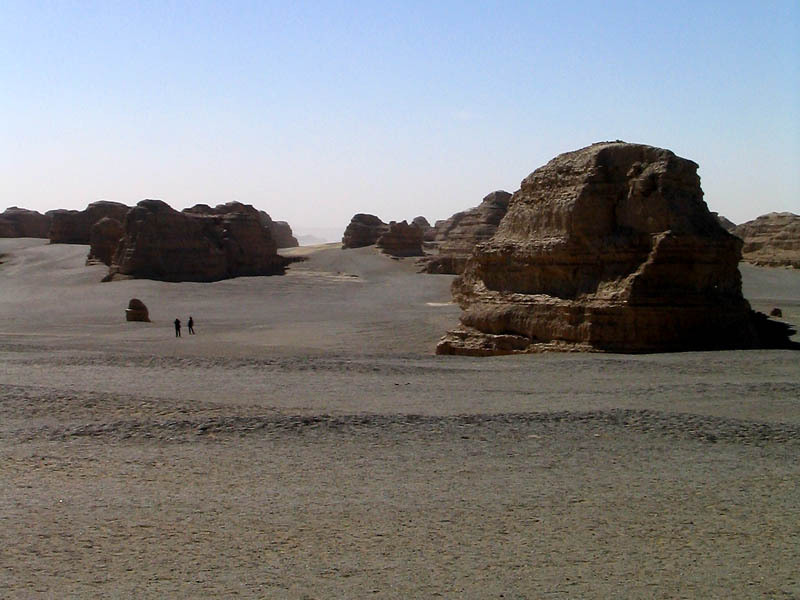 Location: 90 km northeast of Dunhuang City, Gansu Province. 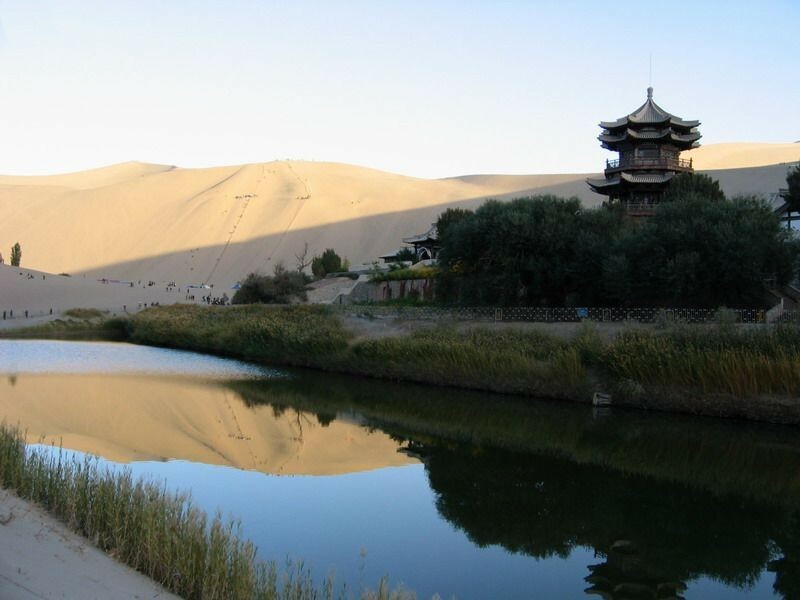 How to get to Yumen Pass: rent a car from Dunhuang city, about CNY300, the ride there and back is roughly 7-8 hours, the road conditions are good, and cars are few. 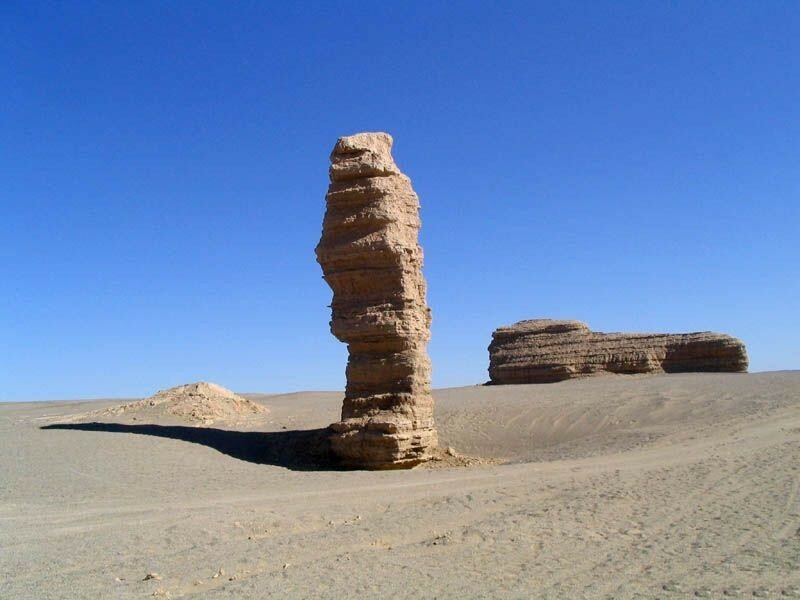 The Jade Gate Pass is located in Gansu Province roughly 400km from its name sake city, Yu Men city, in the Gobi Desert. Not to far north there is Hala Lake, and further beyond that is the great wall. 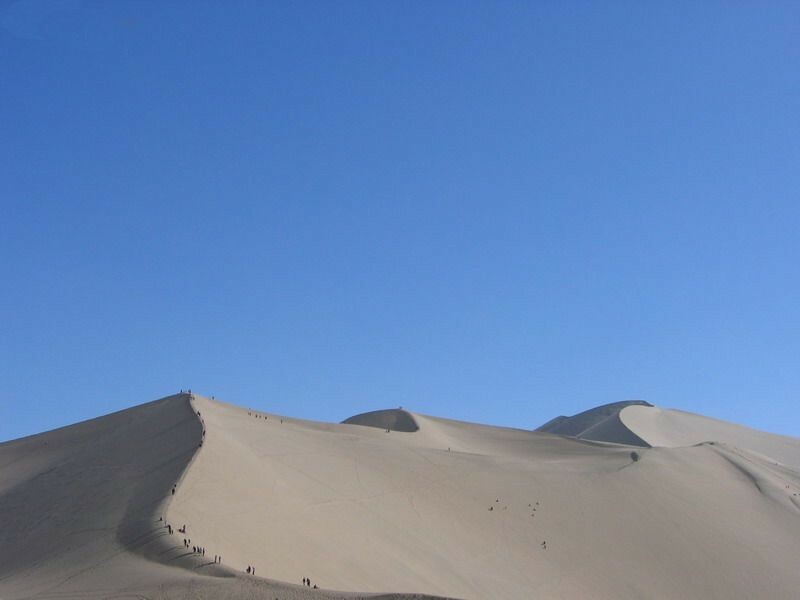 To the south is Yang Guan Pass, also know as Sunny pass. 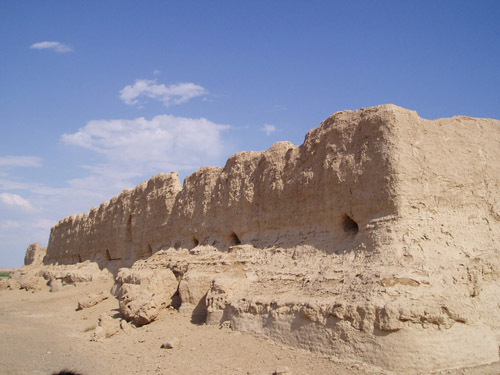 Today this 30 foot mud brick gate and its walls are nothing more than an ancient castle, however back in ancient times this pass was one of two passes (Yu Men Pass, and Yang Guan Pass) that protected, and ensured the safety and smooth travels for passing caravans, and visitors in and out of China via ancient Silk Road. 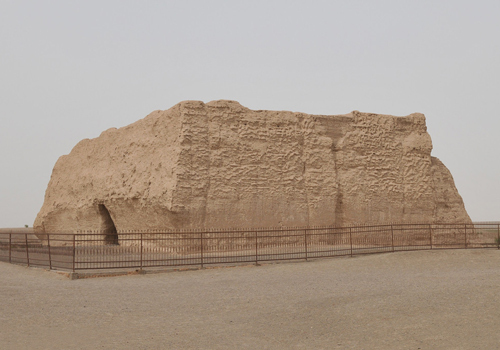 Yu Men pass was erected under the order of Emperor Wudi, around 121 BC for the sake of the convenience to western regions. 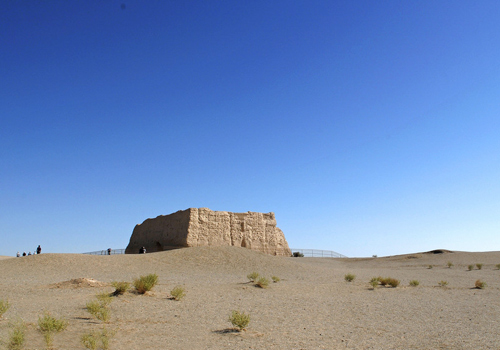 Yumen Pass’s ruins lie fairly close to Dunhuang, roughly 90km. 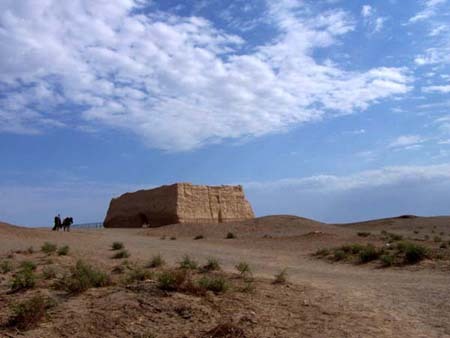 Dunhuang was the last outpost in the Chinese territory for caravans, and travelers. A long time ago there was a caravan on its way to the disc city, however to get there they had to cross the Lost Horse Forest. (To avoid the heat of day travelers would travel under the darkness of night, after days of doing this, horses along with their masters would get disoriented, and by the time they got to this weed reddened, thick dense forest nobody knew where to go. Therefore this place was called lost horse forest). This caravan was a jade caravan, and was very familiar with those roads, however on this trip back to the disc city they became tired, and ultimately lost. Everybody was very anxious, and wanted nothing more but to get out of the forest, when out of nowhere on the road in front of them dropped a wild goose. There was a boy with the caraven, he quietly picked the wild goose up and put it in his bag, with the plan after getting through the Lost Horse Forest to free the goose. After awhile the goose started to cry, he looked at the boy and with as much as energy as he could muster asked the boy for some food, and water so he could lead them out of the forest. The boy suddenly understood that the wild goose didn’t drop out of the sky because he couldn’t fly, but because he didn’t have the energy to fly. The boy instantly took out his own food and water, and gave it to the wild goose. Once the wild goose was full he flew into the sky, and didn’t stop circling the caravan, he led the caravan out of the Lost Horse Forest and to Disc city. The next time the caravan was passing through the Lost Horse Forest, they became lost again, and yet again the wild goose guided them out of the forest and to disc city, and for his hard work the goose only asked for one piece of jade, and if they could provide him with that one piece of jade he would swear that they would never get lost again in the forest. The boy told the leader of the caravan, the leader was a selfish and stubborn man, and just couldn’t part with the jade, he thought to himself one piece of jade could be sold for a few thousand silver pieces, why should I give one to a wild goose? So he refused the wild goose’s offer. Who would of thought that the next time passing through the Lost Horse Forest, that the caravan would yet again become lost. Days went by and they couldn’t find water, everyone was thirsty, even the camels, to the point that it became hard to walk, and death was nothing more than a stones throw away. At this very point the wild goose yet again flew by, and said if you want to get out of the forest all you have to do is give me a piece of jade, and you wont get lost ever again. The boy told the caravan leader what the goose had promised; the caravan leader anxiously asked the boy what should he do? The boy quickly replied crawl on your hands and knees to the wild goose and give him a piece of jade and make this promise. The Caravan leader listened to the boy and went right over to the wild goose and promised that if he would lead them out he would never be that selfish again, the goose after hearing this saved them. After getting out from the forest the caravan leader reached into his sack and took out the biggest, brightest green piece of jade he could find and gave it to the wild goose. He told the wild goose with this even in the darkest of nights it will brighten the way, from today until the end of time we will never get lost again, then he thanked the goose. 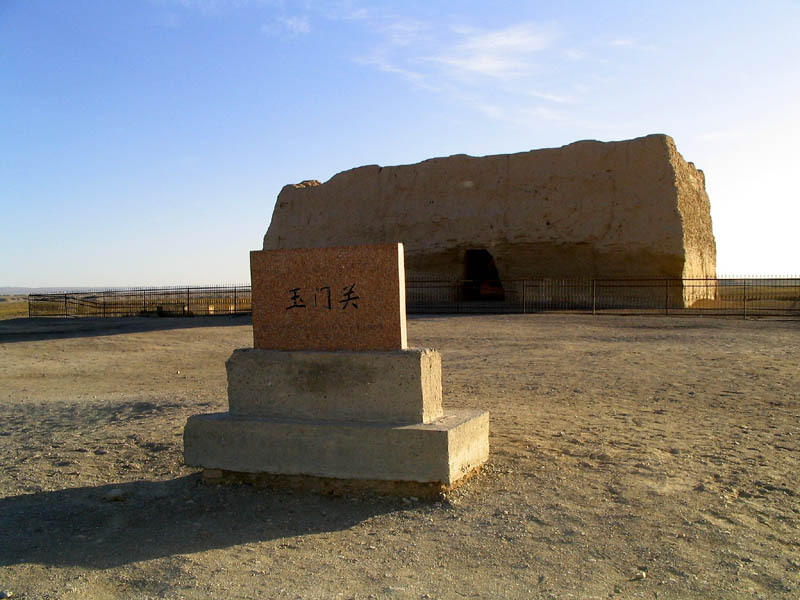 After the locals heard this story they changed the name of the city from Disc City to Yu Men Pass, or "Jade Pass".